A 14-year-boy has been charged after number of people were allegedly threatened with a BB gun. Three girls were approached by a male with a BB gun while playing near their home in Moston, Manchester, at about 19:00 GMT on Friday, police said. 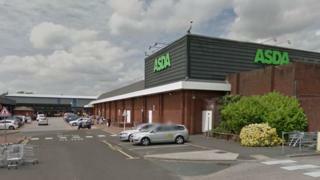 A man was later reported to have had the weapon at an Asda in Harpurhey. The boy has been charged with possession of an imitation firearm with intent to cause fear of violence, Greater Manchester Police said. The teenager, who cannot be named for legal reasons, is due to appear at Manchester and Salford Magistrates' Court on Monday. Det Sgt James Coles said extra officers had been on patrol in the area to reassure the public following the incident.